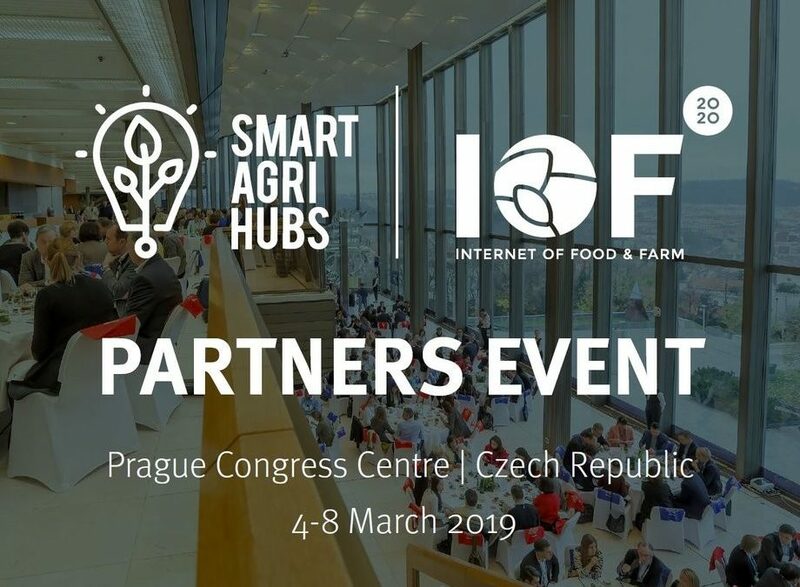 Internet of Food and Farm 2020 will host their Partners Event 2019 in Prague, from 4 to 8 March, 2019. This third annual meeting is a very special one, for three reasons. First, the IoF2020 Partners Event is organised together with the kick-off of the SmartAgriHubs project. Also led by Wageningen University & Research, SmartAgriHubs complements the objective of IoF2020 perfectly: To stimulate the uptake of IoT-technology in the agri-food sector. There will be many opportunities for synergy during the event, to meet and exchange thoughts with partners in both projects. Second, 14 new consortia will join the IoF2020 ecosystem. During the Partners Event they will present themselves and the solutions that seduced the Open Call reviewers. Last but not least, the event will host a demonstration of IoF2020 use cases in an exhibition together with innovation experiments from SmartAgriHubs.